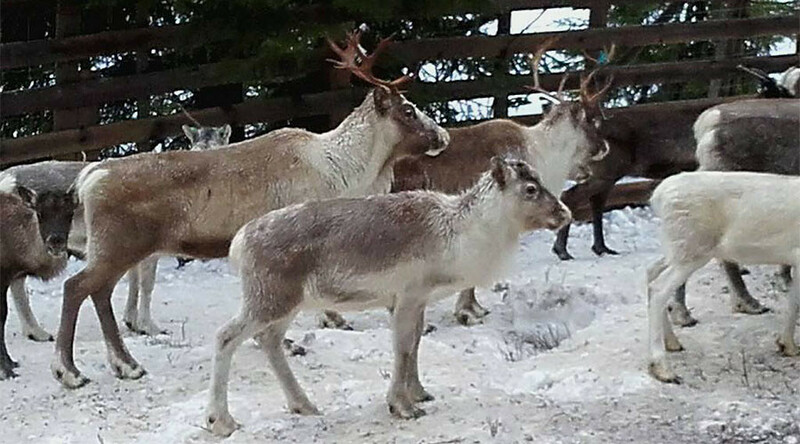 Preschoolers in Norway took a break from learning their ABCs to watch reindeer being slaughtered and skinned in a move which school says was aimed at teaching them about indigenous peoples who herd the Arctic animals. Though they're just learning to read and write, the administration of Granstubben Barnehage preschool believed their five-year-old students were ready to see Santa's sleigh-pullers be murdered right in front of their eyes. A video posted on the school's Facebook page showed the children on the field trip, first viewing the reindeer while they were still alive. The pictures later turned more gruesome, with one showing a dead reindeer turning the powdery white snow blood red. Another image showed a child dragging a reindeer skin across the snow. The head of the school, Dag Olav Stoelan, told AP that the lesson took place in order to teach the children about indigenous Sami who live in northern Norway, some of whom are involved in reindeer herding. "It is important to show where the meat comes from," he said, stating that "we will do it again." Meanwhile, the public seems divided on whether the school, which is located in the Arctic town of Nord-Trondelag, did the right thing. "One should never raise kids that way. Hope this 'school' will be closed soon. Fortunately there are real humans in this world. People full of love and joy. These poor little kids in this organization are raised with blood. So what can you expect from them?" Facebook user Tina Heiland wrote on the school's Facebook page. Another user agreed, stating that such a lesson will only teach children to be cruel to animals. But others praised the school's actions. "I wish my kids went to this kindergarten as well. This is the best way to learn about life," Facebook user Jacob Palm wrote. Public dissections are common in Scandinavia, though the practice is not without controversy. In April 2016, a Norwegian zoo was widely criticized for euthanizing a zebra, cutting off its head, and feeding it to tigers in front of the public, including children. Just six months prior, a Danish zoo performed a public dissection of a dead lion, putting the feline's intestines on display in front of dozens of children. That same zoo came under fire in 2014, after it publicly killed and dissected an 18-month-old giraffe named Marius before feeding him to lions. The zoo said the gruesome act was done to "avoid inbreeding" and "educate" children.